Scott Doty’s Conquer Camps will give your young college hopeful a leg up! During the four-day intensives, Scott covers test content & strategy, the art of great test taking, college admissions best practices, and more. 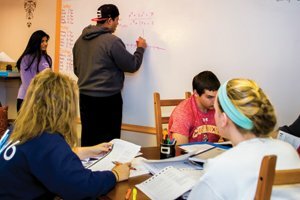 A practice SAT or ACT is also included at the end of this academic mini-camp. Conquer Camp is the brainchild of BrainStorm’s Chief Brain, Scott Doty. 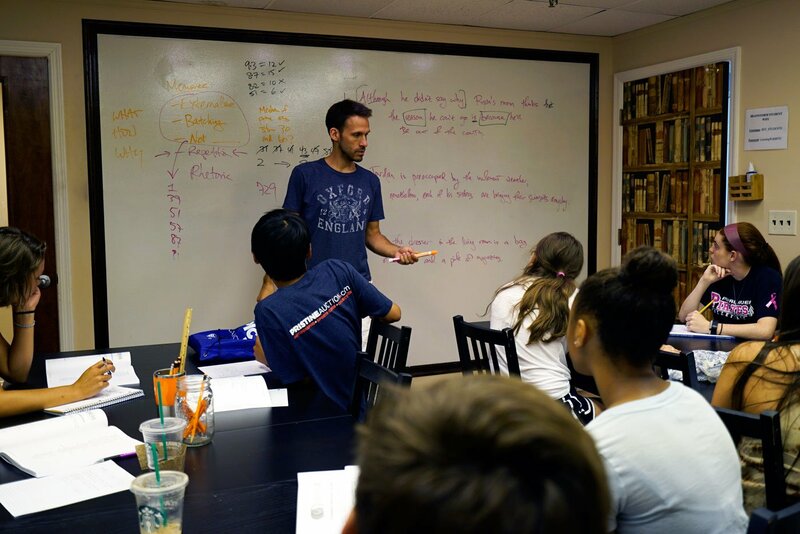 Hundreds of lucky students from all around the world have enjoyed his uniquely engaging teaching style during this camp, which is ideal for rising juniors and seniors. Scott has won numerous accolades and already has a growing army of devoted students. 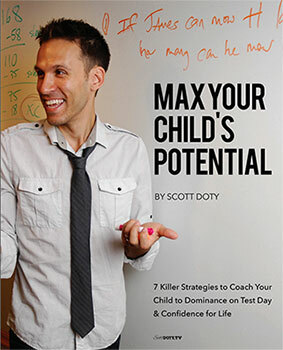 Everyone wants a chance to learn from Scott, so space in his programs is limited. Call and sign up today! Summer Storm for the SAT is geared for rising juniors aiming to make significant headway before junior year launches. Rising seniors can also take advantage of these intensive programs to amp up their scores in time for college applications. Modeled off of owner Scott Doty’s highly regarded Conquer Camps, Summer Storm for the SAT is a fun academic boot camp. These four-day programs will provide content, skills, and strategies to take your student to the next level. Summer Storm for the ACT is geared for rising seniors aiming to take advantage of one more program to amp up their scores in time for college applications. It is meant to answer all of your final questions before the July ACT. Rising juniors can also take advantage of this program to make significant headway before junior year launches. Modeled off of owner Scott Doty’s highly regarded Conquer Camps, Summer Storm for the ACT is a fun academic boot camp. This four-day program will provide content, skills, and strategies to take your student to the next level. Not sure where to start with the SAT and the ACT? We are here to help! Let’s Talk Tests is the pre-test prep course you are looking for. Your student will spend one day learning about the SAT structure, one day learning about the ACT structure, and then will take a hybrid exam to establish which test is the better test for your student! Parents will have the opportunity to participate in an evening webinar Q&A with BrainStorm’s founder Scott Doty to go over the differences between the tests and answer any questions you may have at this important moment in your student’s college timeline. This mini-intensive camp will end with an hour-long private consultation with our test prep guru for parents and their students to discuss individual hybrid results and how to begin your test prep journey to achieve your goals. Is your student nervous about completing that summer math packet? Never fear! BrainStorm is providing you with a mini-intensive camp that will assist your student in crushing that packet and preparing for the upcoming school year. 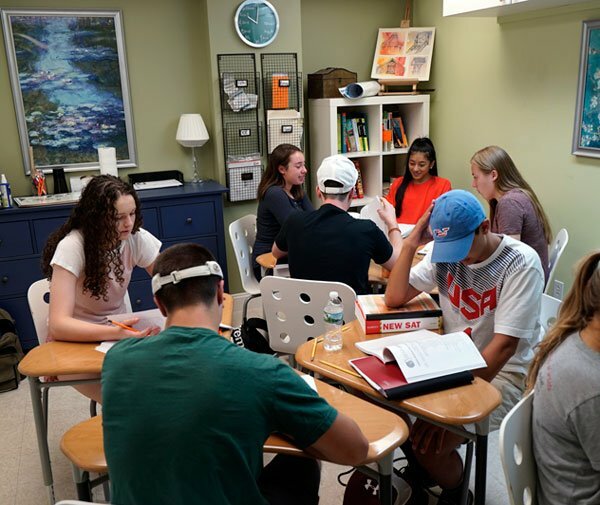 This innovative, one-of-a-kind course in a small group tutoring setting is ideal to help your student to get focused and refreshed before the upcoming school year. Students work with world-class Brainiac academic mentors in an effort to successfully complete and understand your packets in preparation for the new year. Is your student putting off that summer reading? Does your student need to work on reading comprehension skills? Never fear! 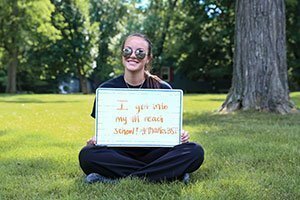 BrainStorm is providing you with a mini-intensive camp that will assist your student in active reading, annotating, and learning how to be a better reader. This innovative, one-of-a-kind course in a small group tutoring setting is ideal to help your student learn the reading skills necessary to be a successful student before the upcoming school year. Students work with world-class Brainiac academic mentors in an effort to successfully complete and understand your summer reading in preparation for the new year. This innovative program is open to children age 3 through 8. Make it easier for your student to pick up a second language by starting them early. Enroll in Summer Cerebritos now! 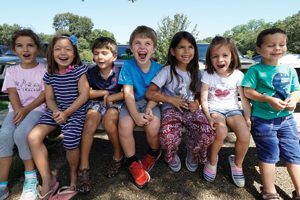 Summer BLAST is an extension of our popular school-year offering. It’s the best value for top-tier academic coaching you’ll find anywhere! Summer BLAST is designed to help your student to shore up academic content missed (or misunderstood) during the school year. Students will also develop skills required to dominate school next year: time management, organization, study skills, focus, and more. Some subjects covered in this hugely popular tutoring program include math, science, humanities, English, and Spanish. This summer, give your student a jump-start on the school year ahead with private tutoring! While you’re at it, give yourself a break with one of BrainStorm’s special discounted private tutoring packages (see offers below). One-on-one in-home mentoring eliminates the competitive atmosphere and distractions found in traditional classrooms. 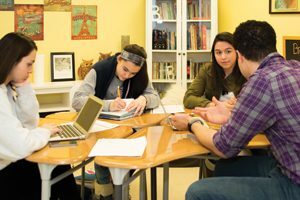 This allows students to grow and learn at their own pace, in a familiar setting, and on a highly convenient schedule. 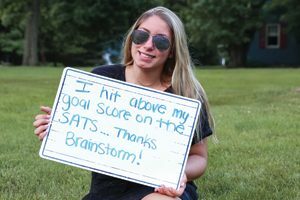 With BrainStorm private summer tutoring, they can learn and still have plenty of time for pool and play. 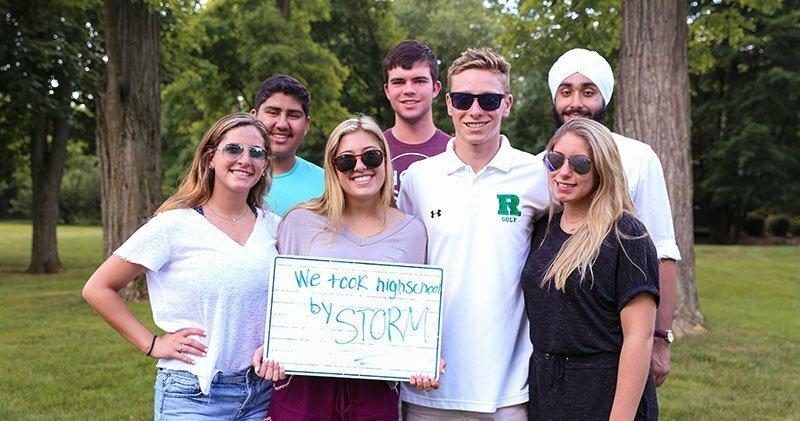 BrainStorm’s 50+ all-star academic mentors cover all school subjects for every age and grade, Kindergarten through College. Areas our tutors serve include Bergen County, Passaic County, Hudson County, Essex County, and Morris County. Subjects for in-home summer tutoring include all maths and sciences, English (reading, writing, & grammar), foreign languages (Spanish, French, Mandarin, etc), and more. Private coaching in preparation for standardized tests is also available this summer at BrainStorm! Summer discount: get 15 hours of test prep private tutoring at a special low price. Call for more information! We also recommend that they take advantage of their weeks of unscheduled time to bone up on skills and academic knowledge that will serve them well during the coming school year. 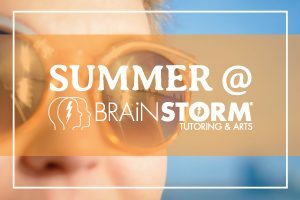 Give your student a chance to succeed in school this fall – enroll in summer tutoring at BrainStorm now!